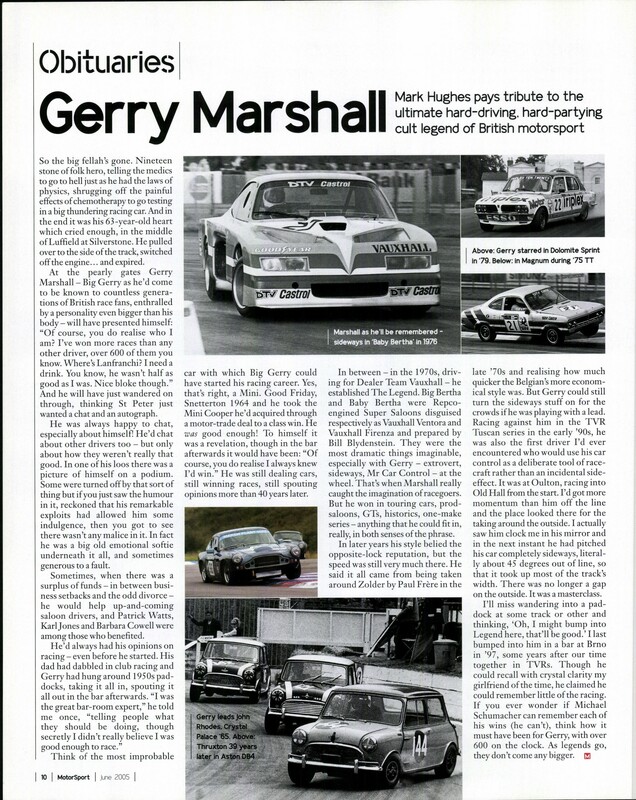 For motor sport enthusiasts from any number of generations, Gerry Marshall requires little in the way of introduction. 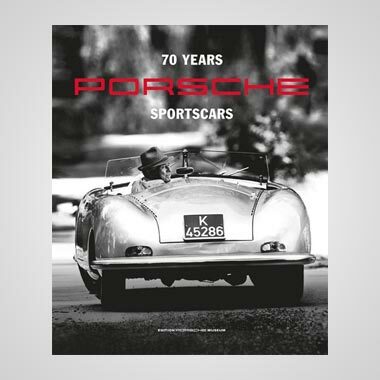 He took some 623 race victories over four decades. 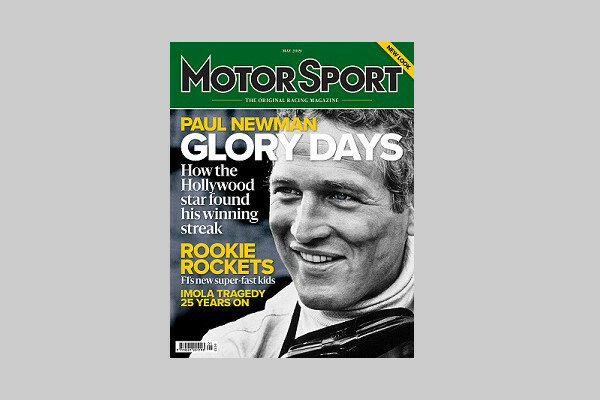 The victories mostly came in saloon cars yet his racing exploits ranged from rallying to historic Formula 1. And the numbers only explain a small part of Marshall's legend. 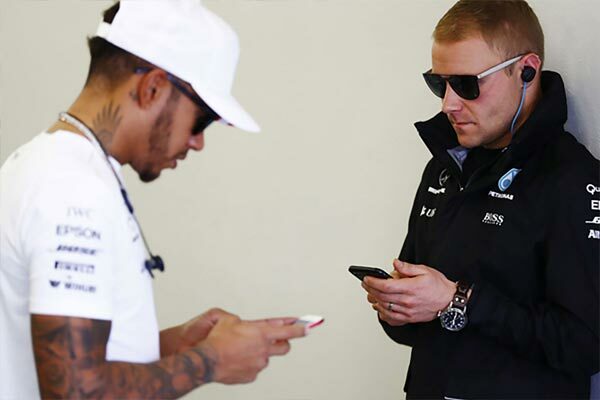 On the track he was always hard-charging, permanently it seemed with the tail of his car stepped out. Off the track he was larger the life, metaphorically and literally. 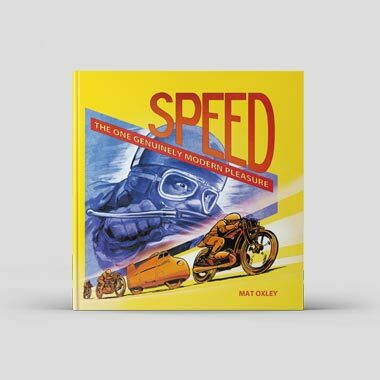 Ebullient, hard-partying and, in the words of Murray Walker, "smokes cigars and almost eats them". Naturally, with all of this, he became an unparalleled cult hero among those on the spectator banks. 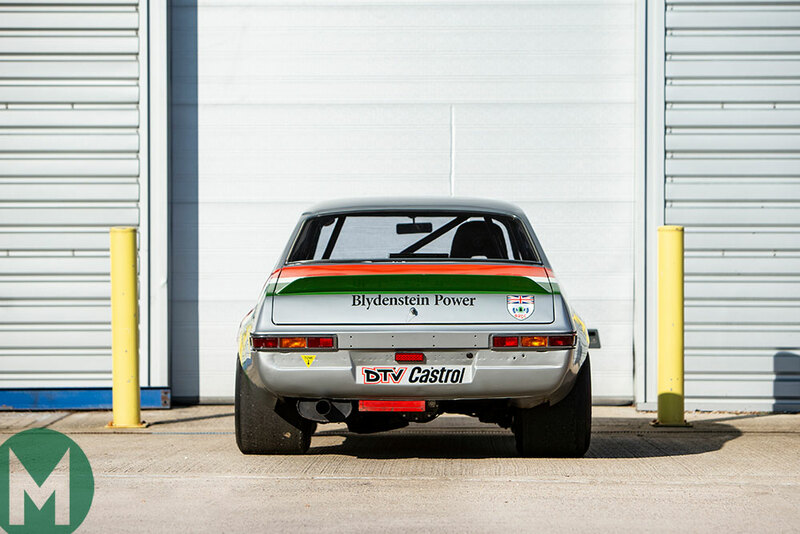 And a 1971 Vauxhall Firenza saloon car from his spell at the Dealer Team Vauxhall team, in which he was as good as unbeatable, is going under the hammer in the Bonhams auction on April 7 at the forthcoming Goodwood Members' Meeting. It's expected to sell for £90,000 to £130,000. 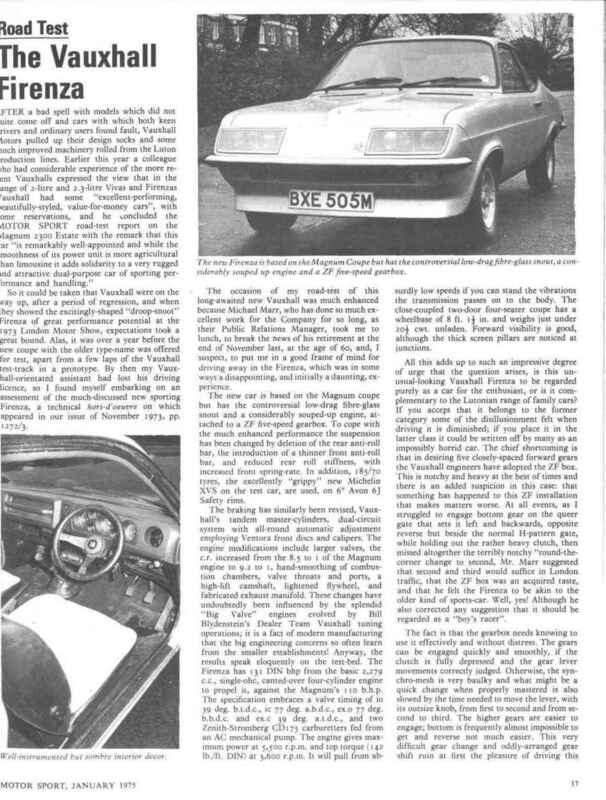 The car for sale was known affectionately as 'Old Nail' and was Marshall's first and most successful DTV Firenza. 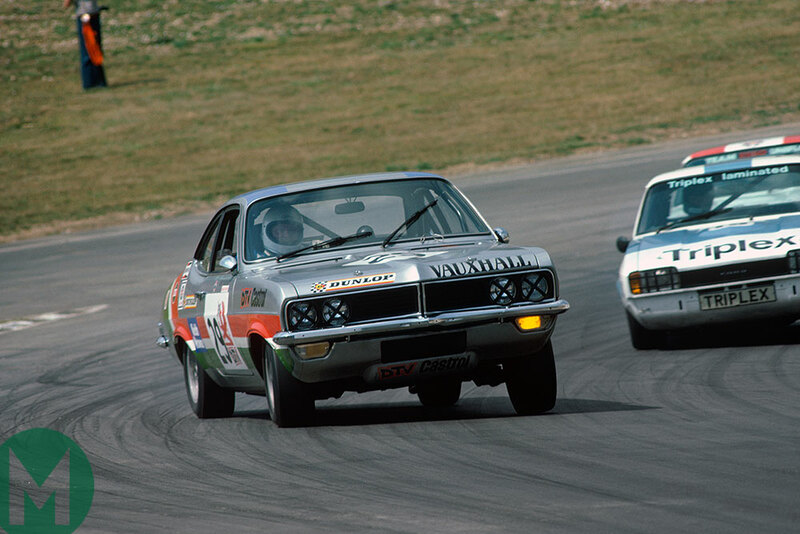 It also is one of the most successful racing saloons of its era; according to its accompanying results summary listing the car can count at least 59 overall victories and four class wins between September 1971 and February 1978. 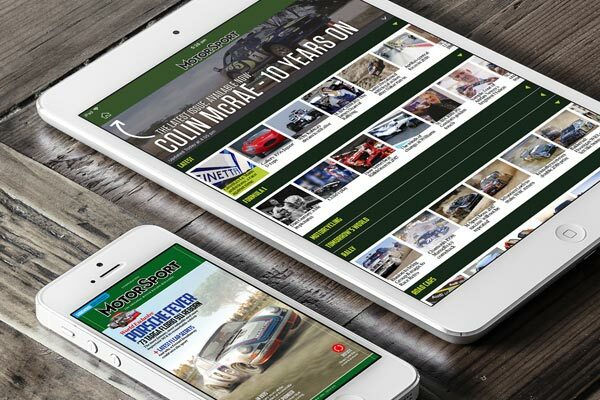 'Old Nail' was continuously developed over this time and it racked up title success too. 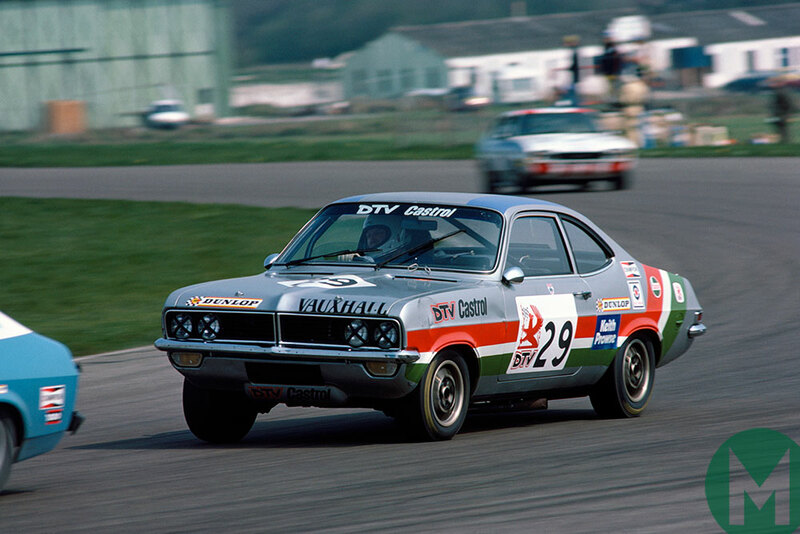 It won the Forward Trust Special Saloon Car Championship in 1972 (overall), 1973 (in the over 1,300cc class) as well as took the Simoniz Saloon Car Championship in 1974 (again in the over 1,300cc class). 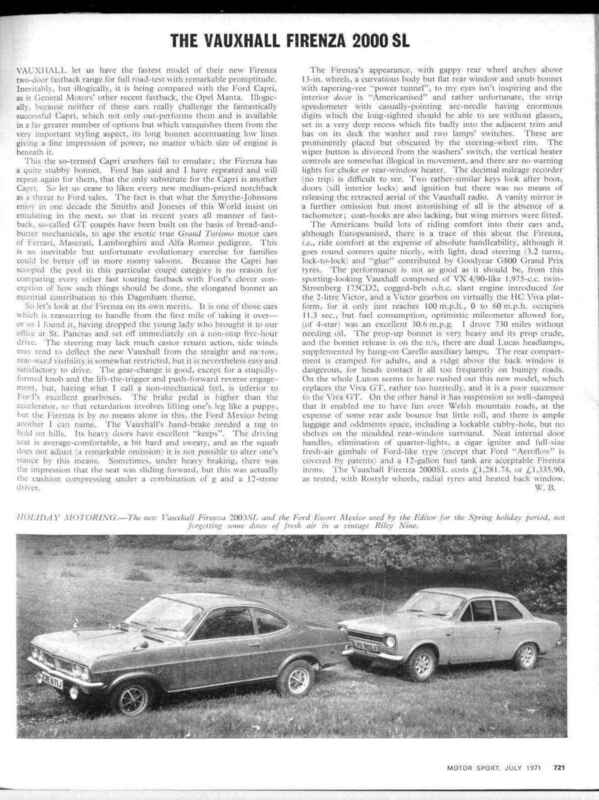 Then in Bill Dryden's hands it took the 1975 Scottish Saloon Car Championship, once again in the over 1300cc class. 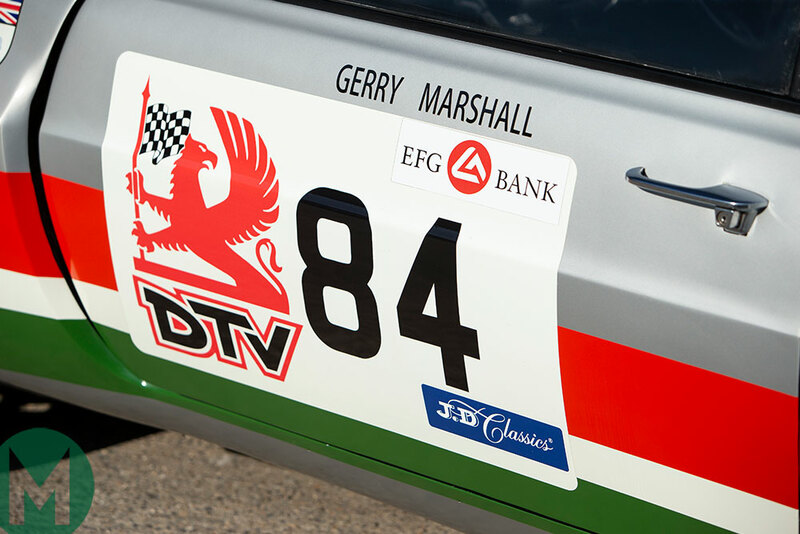 'Old Nail' was then in 1978 presented to Marshall by a grateful Dealer Team Vauxhall and it remained in Marshall's possession until his death in 2005. 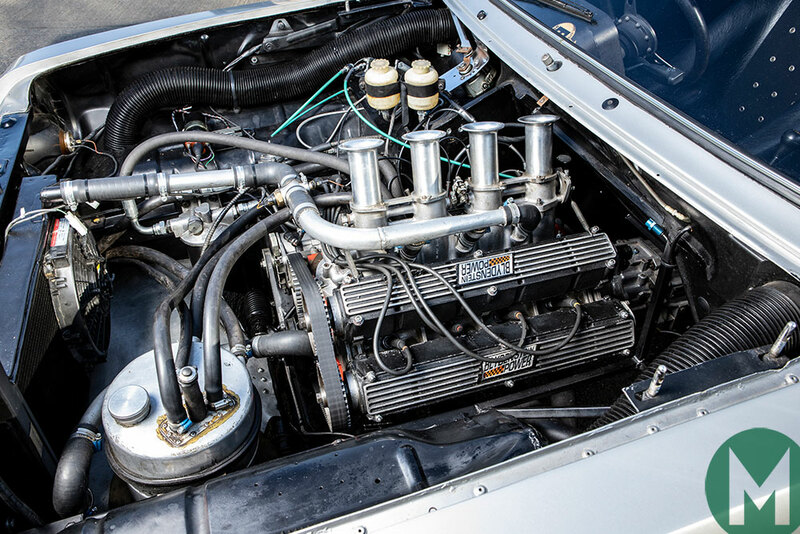 The car had spells on display at the Vauxhall Heritage and Donington Park museums and was sold to the current vendor by the Marshall family at Bonhams' Goodwood Festival of Speed auction in July 2011. 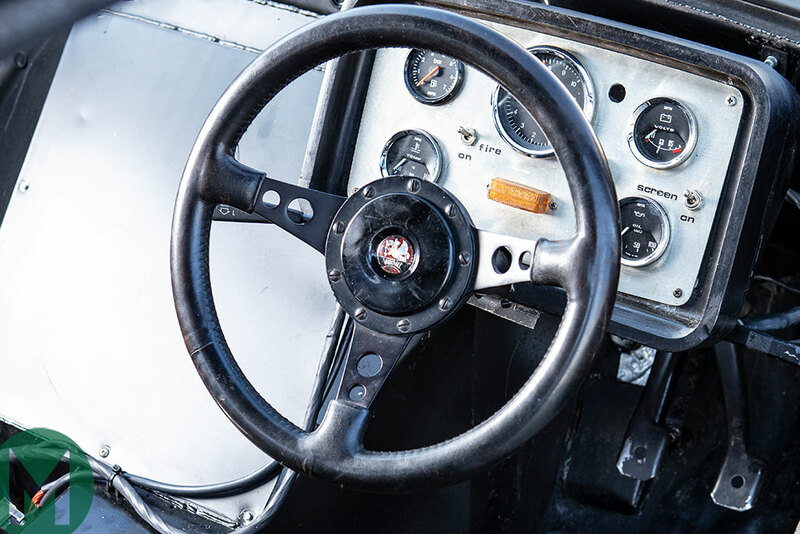 In the following year the car was expertly restored to racing capability. 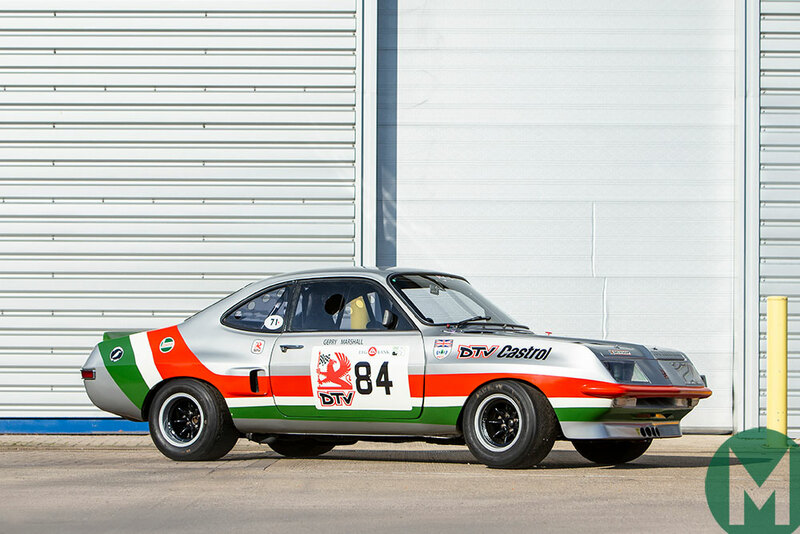 Since restoration it has run three times: at the Donington Historic Festival in an invitation capacity, at the Goodwood Festival of Speed and at Silverstone in a CSCC Special Saloons and Modsports event where it won its class. 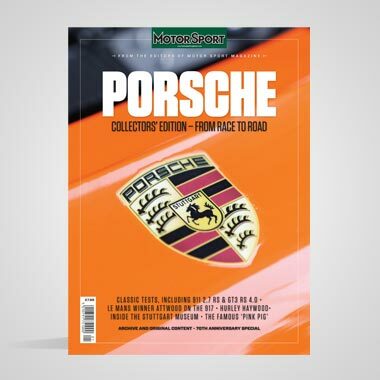 The car still has its original Blydenstein-built 2.2-litre 16-valve engine, period-specific livery as well as Marshall's original Corbeau seat and steering wheel.